Fellworth House is an accommodation venue situated on the lower hills above Nelson City. 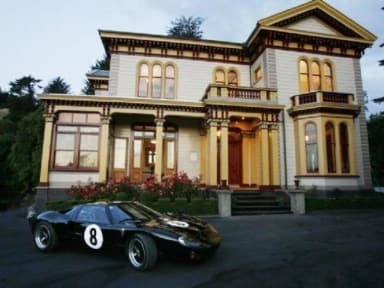 This elegant two-storey wooden house is built in the ornate Victorian Italianate style, featuring exceptional architecture, gleaming native timber, and antique furniture while still offering homely single occupancy bedrooms and guest areas that flow immaculately to beautiful balcony and veranda views out to the sedate beauty of the Nelson city, sea and sunsets. Fellworth House is located just 100 metres from the geographical “Centre of New Zealand” landmark and its conservational walking tracks are some of the best ways to see beautiful landscapes and explore some of the vast wilderness of Nelson. 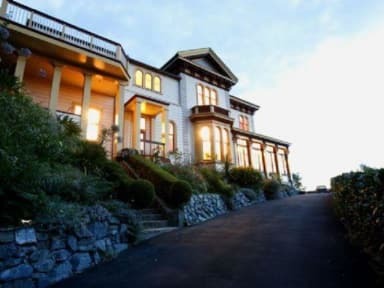 Fellworth House is situated an easy 10 minute walk to the shops, cafes, bars, restaurants, galleries and theatres of the Nelson City centre and the famous Saturday Nelson Market, Nelson Cathedral and Nelson Provincial Museum. In true Nelson style there is no reception and the procedure is kept casual and simple with a notice at the front door reception area directing you to your room number upstairs. The grand old wooden staircase will lead you to all our 2nd floor rooms, kitchen and living areas. All equipment in our modern kitchen, dining and lounge areas are available for use by our guests. We offer a fully equipped kitchen with free coffee and tea, complimentary on-site OPEN wireless internet access (NO protection offered), free local phone calls, satellite TV lounge and dining room with sophisticated style fireplace. simply the best one encountered in New Zealand!